Amateur Boxing Gyms have limited avenues when trying to find insurance for their boxing gyms. Sports Insurance Solutions utilizes a number of underwriters that understand the risks in owning and operating an amateur boxing gym. We have the experience to guide you through the process of getting you the correct insurance to secure your Boxing Gym investment. We are specialists in this area of Sports. An extensive liability insurance policy is vital for any boxing facility and the huge majority of landlords insist that renters have substantial policy, as a condition of their lease. You dont want be in a position to open a school, hold tournaments seminars, or provide demonstrations without the coverage. 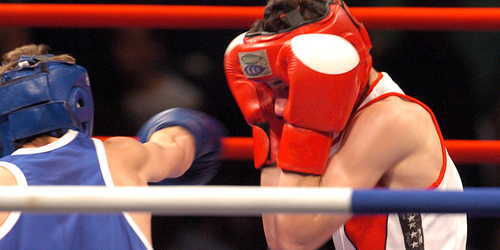 Many accidents happen, which might result in injuries, during boxing training or contests. Medical expenses are extremely high and may collapse your business. We have you fully covered in our Boxing Gym Insurance Program.